I don't spend all my time on my Twilight album. :-) I have several pages from Christmas 2008 but most are waiting on journaling, a title, or other detail before I can declare them "finished" and share them. 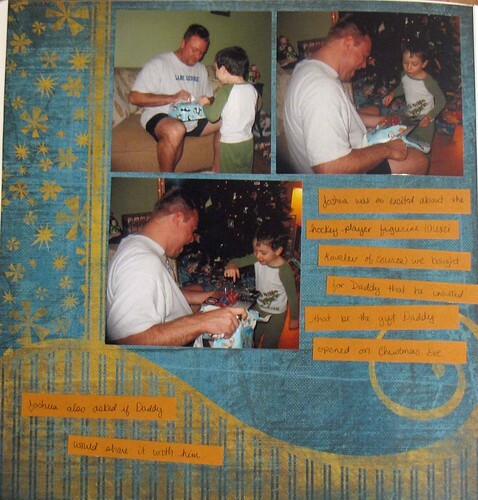 Here is one page from Christmas 2008. The paper is from Creative Memories' Starry Night pack.